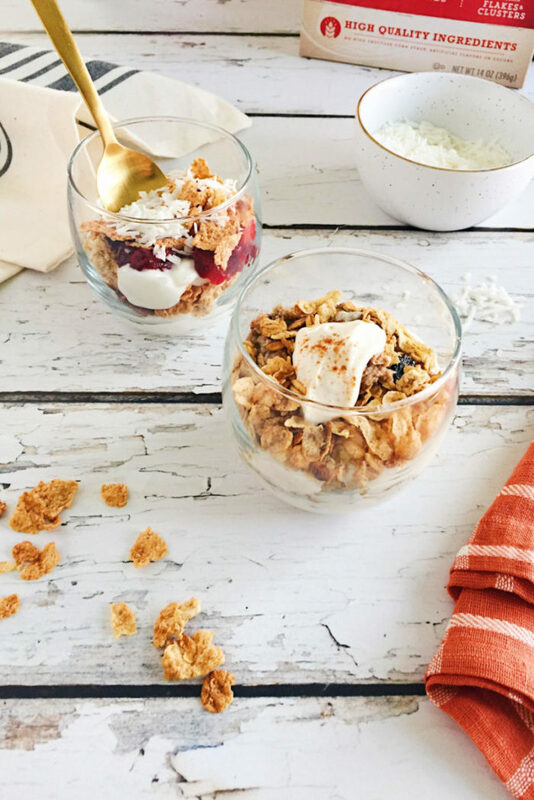 These Healthy Breakfast Parfaits Two Ways (Coconut Cranberry + Pecan Pie) are made simple with Great Grains cereal and protein-packed Greek yogurt. Video included! Happy 2017! I don’t know about you, but I was so ready for a new year. What better way to celebrate a brand new year than with some healthy recipes? Let’s start with the most important meal of the day: breakfast! I’m making a better effort to eat a healthy and satisfying breakfast every morning. Lately, I’ve slipped a little bit when it comes to the first meal of the day. When it comes to breakfast, I love all things easy. Sure, on the weekends I’ll make a scramble or a quiche, some homemade hash browns, or even crepes. But on the weekday? No way. 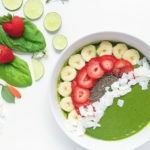 I’m all about chia pudding, overnight oats, avocado toast, smoothies, energy bites, and healthy breakfast parfaits. I love these healthy breakfast parfaits. 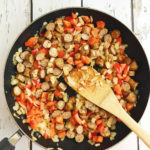 Just a few simple ingredients and minimal preparation creates something healthy, satisfying, and delicious! I make these parfaits two ways: a Pecan Pie Parfait and a Coconut Cranberry Parfait. Both of them contain protein-packed Greek yogurt and Great Grains. Great Grains is a great and convenient way to start your morning off right. 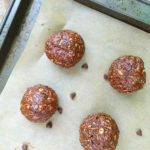 They include tasty little granola clusters, real fruit, nuts, and crunchy whole grain flakes. This heart-healthy cereal is an excellent source of fiber and has up to 14 essential vitamins and minerals! 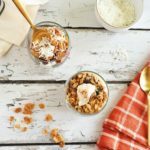 The Pecan Pie version is layered with a honey and cinnamon laced Greek yogurt, Great Grains Raisins, Date, and Pecan, and nutty pecan butter. 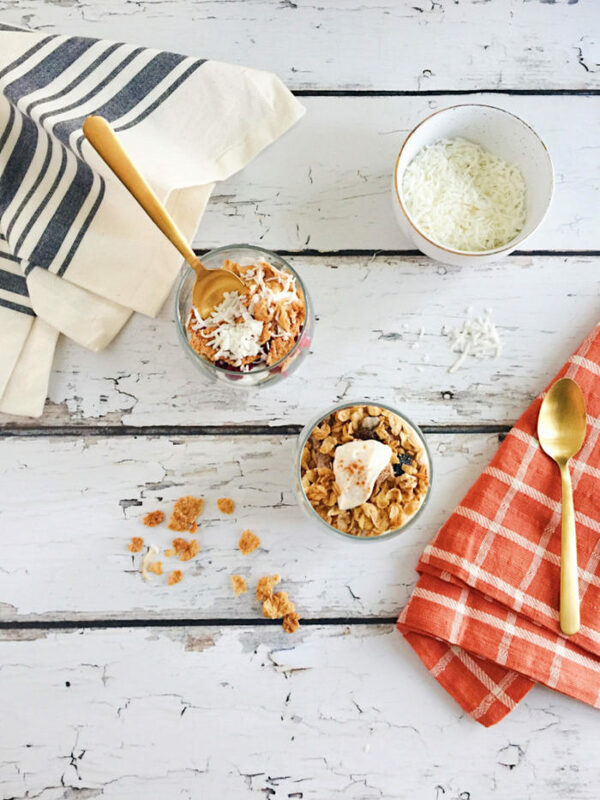 The Coconut Cranberry version includes delicious coconut cream Greek yogurt, Great Grains Cranberry Almond Crunch, unsweetened coconut flakes, and maple-orange roasted cranberries. 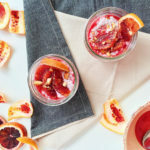 The cranberries are the only part of these healthy breakfast parfaits that involves cooking, but they’re so easy. Just mix everything together and let the oven do the work for you in just a few minutes. Plus, scroll down to the bottom for a recipe video! 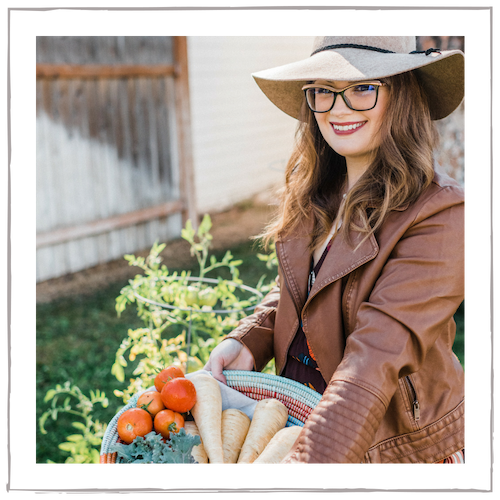 Thank you to Great Grains for sponsoring this post! 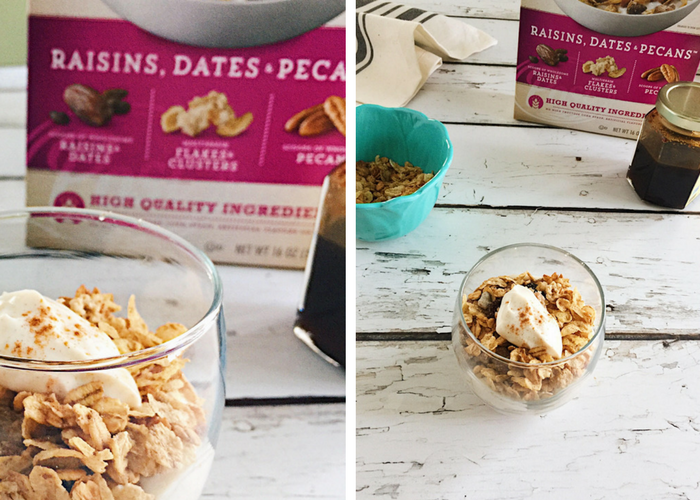 Click here to get a Great Grains coupon for your healthy breakfast parfaits! This post includes affiliate links. As always, the products are ones I highly recommend. Combine the orange zest, orange juice, maple syrup, and cranberries in a baking dish. Bake at 400 degrees until bubbling and the cranberries begin to pop, about 10-12 minutes. Mix all of the ingredients until combined well. 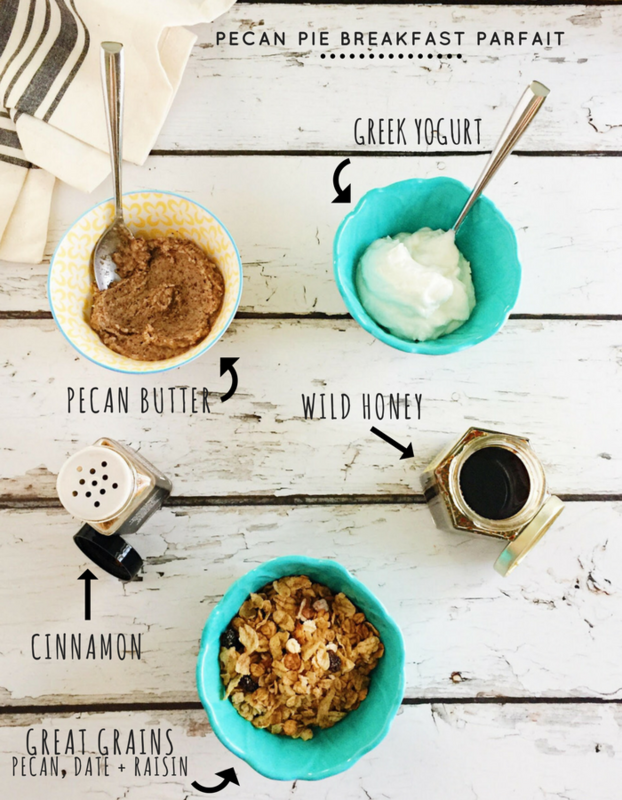 Layer the Pecan Pie Parfait with 2/3 cup of the Honey Cinnamon Yogurt, 1/4 cup of Great Grains, and 2 tablespoons of pecan butter. 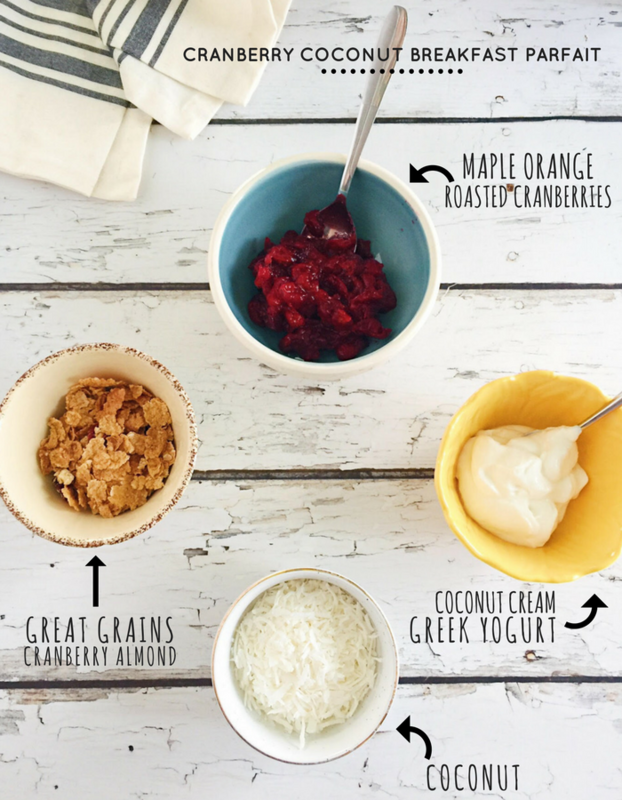 Layer the Cranberry Coconut with 2/3 cup of Coconut Cream Greek Yogurt, 2 tablespoons of the roasted cranberries, 1/4 cup of Great Grains, and unsweetened coconut. Enjoy! 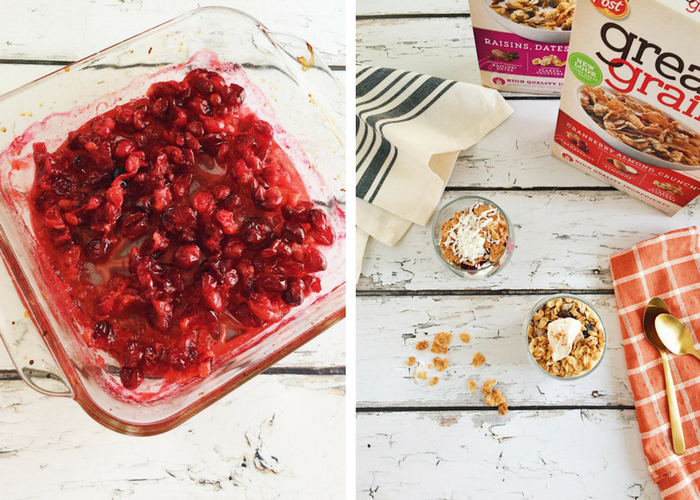 Keep leftover roasted cranberries and Honey Cinnamon Greek Yogurt in the fridge for more parfaits! 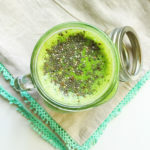 This looks so easy and positively yummy! YUM! This looks like just what I need to end the week on a healthy note. WOW – this all looks AMAZING. 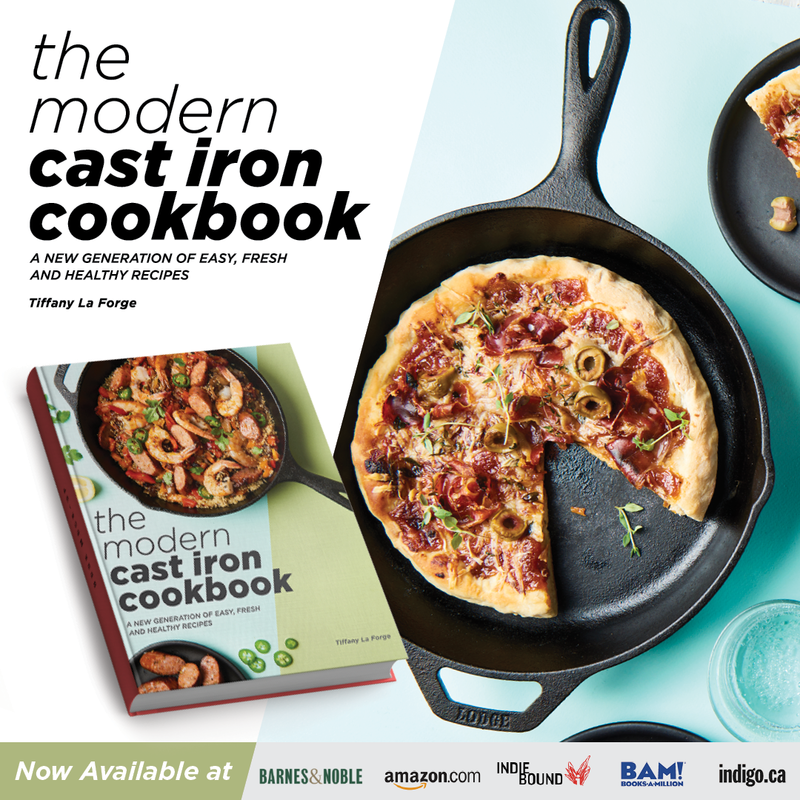 I will definitely be trying these recipes! Thanks, Taylor! Hope you love ’em! Thank you, Lydia! Me too! Coconut cream Greek yogurt is my new obsession! You got me at coconut. You add coconut on anything and I’ll be a fan. Me too, Aish! Have you tried coconut cream Greek yogurt? sooo good. Pecan one looks delish! I am going to have to try it this week! I was sooooo ready for a new year too! 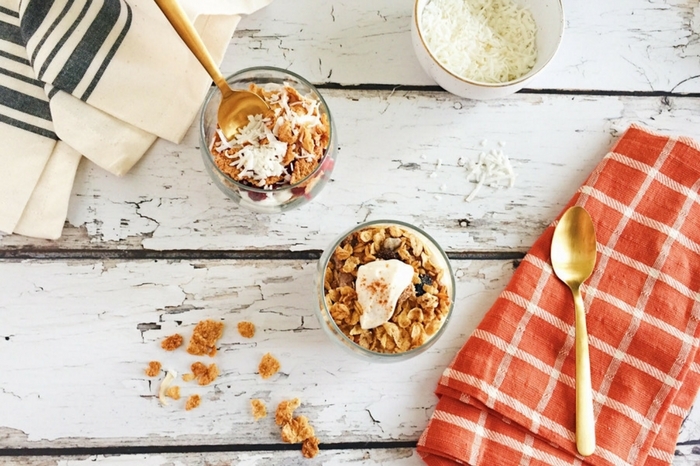 Your Pecan Pie Breakfast Parfait looks and sounds amazing! I will have to give it a try! Love it! You get a little bit of everything there! I’m not sure which of these I’d choose first because they both sound so good. 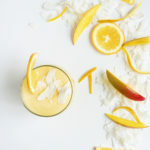 I do like the idea of cranberry and coconut- new combo for me! thank you! that combo is heaven together! Both parfaits look and sound incredible. Cranberry coconut and pecan pie. Yum! Nothing beats a quick breakfast and those cranberries are calling my name!! these really are crazy quick to put together!